The emergency department response to the Paris Attacks on 13/11/15. Dr Youri Yordanov describes the amazing response to the major incident. No-one can forget the horrific stories and images from the 13th November Paris attacks. Terrorists attacked at a number of sites shooting indiscriminantly into crowds of people who would have been out for a normal Friday night. The attacks have changed the world and made all of us once again realise that acts of terror can take place anywhere and that we must be prepared. 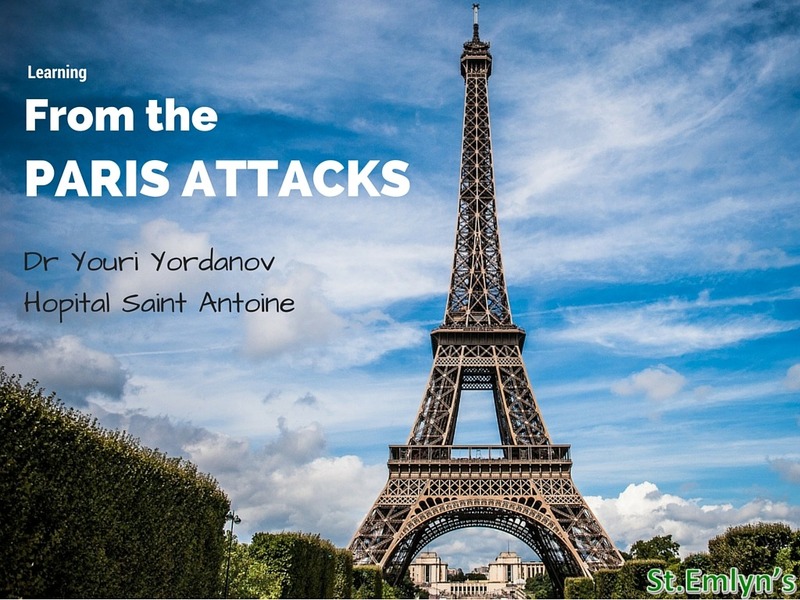 Dr Youri Yordanov was the senior physician on duty at the Saint Antoine hospital in Paris. They started receiving casualties just seven minutes after the attacks, with no warning and with no time to prepare. The ED had to respond to critically injured patients arriving into an already busy emergency department. This would clearly be a challenge to any emergency service. In the podcast below Youri talks about the emergency department response, about how they organised themselves, the resus teams and the patients. This is a great synopsis of what happened from inside the ED at Saint Antoine and how a team of professional coped with one of the most challenging situations an ED might face. Last week Youri co-authored an excellent paper in the Lancet (open access) on the response to the incident and you should click below to get access to (and read) the paper. You can also read an interview on the BBC website. 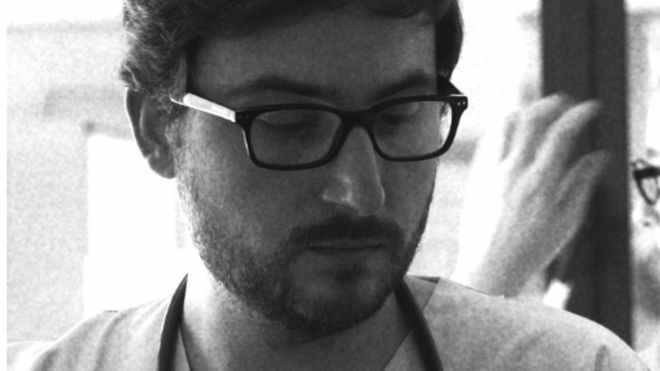 We hope that Youri will return to tell us more about the response, recovery and review of the Paris attacks. Thanks Youri, for everything you and your team delivered. Lastly, let us all remember that the incident for ourselves as medical teams lasts hours, days and weeks. For the individuals and families affected the journey will be much longer. Some will never recover and I thnik we should all take a moment to remember the dead, the wounded, their families and friends. An international expert Delphi study to determine research needs in major incident management. Mackway-Jones K, Carley S. Prehosp Disaster Med. 2012 Aug;27(4):351-8. Epub 2012 Jul 19. Serious gaming technology in major incident triage training: a pragmatic controlled trial. Knight JF, Carley S, Tregunna B, Jarvis S, Smithies R, de Freitas S, Dunwell I, Mackway-Jones K. Resuscitation. 2010 Sep;81(9):1175-9. doi: 10.1016/j.resuscitation.2010.03.042. Preparation for the next major incident: are we ready? Wong K, Turner PS, Boppana A, Nugent Z, Coltman T, Cosker TD, Blagg SE. Emerg Med J. 2006 Sep;23(9):709-12. A Delphi-based consensus study into planning for biological incidents. Brown N, Crawford I, Carley S, Mackway-Jones K.J Public Health (Oxf). 2006 Sep;28(3):238-41. Epub 2006 Jun 29. Emergency departments (EDs) in the United Kingdom (UK) are not prepared for emerging biological threats and bioterrorism. Anathallee M, Curphey A, Beeching N, Carley S, Crawford I, Mackway-Jones K. J Infect. 2007 Jan;54(1):12-7. Epub 2006 Jun 9. Who’s who at a major incident: standardising role titles for emergency planners. Mudalige M, Carley S, Mackway-Jones K. Emerg Med J. 2006 May;23(5):408-9. A procedure based alternative to the injury severity score for major incident triage of children: results of a Delphi consensus process. Wallis L, Carley S, Hodgetts CT.
Validation of the Paediatric Triage Tape Wallis LA, Carley S. Emerg Med J. 2006 Jan;23(1):47-50. Re: McGregor JC. Major burn disasters: lessons to be learned from previous incidents and a need for a national plan. Surg J R Coll Edinb Irel 2004; 2(5): 249-311. Carley S, Randic L. Surgeon. 2005 Apr;3(2):117-8; author reply 118. No abstract available. Delphi based consensus study into planning for chemical incidents. Crawford IW, Mackway-Jones K, Russell DR, Carley SD. Emerg Med J. 2004 Jan;21(1):24-8. Review. Planning for chemical incidents by implementing a Delphi based consensus study. Crawford IW, Mackway-Jones K, Russell DR, Carley SD. Emerg Med J. 2004 Jan;21(1):20-3. Planning for major incidents involving children by implementing a Delphi study. Mackway-Jones K, Carley SD, Robson J. Arch Dis Child. 1999 May;80(5):410-3. Delphi study into planning for care of children in major incidents. Carley SD, Mackway-Jones K, Donnan S. Arch Dis Child. 1999 May;80(5):406-9. Review. Major incidents in Britain over the past 28 years: the case for the centralised reporting of major incidents. Carley S, Mackway-Jones K, Donnan S. J Epidemiol Community Health. 1998 Jun;52(6):392-8. The casualty profile from the Manchester bombing 1996: a proposal for the construction and dissemination of casualty profiles from major incidents. Carley SD, Mackway-Jones K. J Accid Emerg Med. 1997 Mar;14(2):76-80. Are British hospitals ready for the next major incident? Analysis of hospital major incident plans Carley S, Mackway-Jones K. BMJ. 1996 Nov 16;313(7067):1242-3. No abstract available. I’d like to thank you all for releasing such awesome podcast. I believe we have all read the reports, but getting a raw experience first-hand by Dr. Yordanov is priceless. What went through his mind, what really happened, the logistics… We hope we never have to face such situation, but being someone who already had to help evacuate an ED due internal disaster (and we didn’t have a MCI plan), we are never trully prepared for anything, untill the time comes. MCI plans are a must! I have been doing a little bit of research myself on this topic, and considering the need to have such plans ready, but also the lack of knowledge to make them (we don’t have such a tradition in EM or preparedness here in Brazil – I’m trying to help change that), I was wondering if you guys could suggest some literature or books! Thanks again Dr. Yordanov! Thanks Simon! Thanks Natalie! An extraordinary story told with humility yet immense, deserved pride in what was accomplished by the team. Lessons for us all but what I’ll take away is that the provision of good (basic) emergency care is key to managing this type of event – what one does every day, just on a larger scale. Chapeau bas en effet Dr Yordanov et merci.